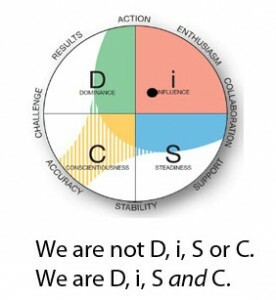 DiSC® is a personal assessment tool used to improve work productivity, teamwork, leadership, sales, and communication. The test instrument and the profile results are designed so that they’re easy to understand and recall your behavioral style and insights. The writing is engaging and the visuals are memorable. Facilitation resources are available to guide and reinforce learning. DiSC reports feature action steps for your individual style. People interested in DiSC often want to see DiSC profile sample reports. You’ll find that there are several versions of the DiSC assessment based on what outcomes are desired. So you’ll find reports focused on the workplace, sales, management, leadership, and conflict. The DiSC Model of Behavior was first proposed by William Moulton Marston, a physiological psychologist with a Ph.D. from Harvard. Later, others developed assessments based upon this model. 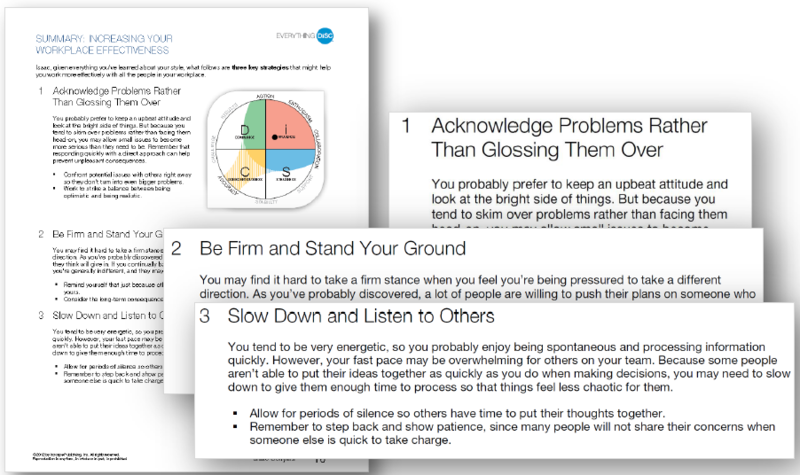 The Everything DiSC® product family, launched by Inscape Publishing in 2007, was created to make the DiSC assessment even more valuable to its users. It introduced more highly personalized reports, customizable facilitation tools and electronic access to unlimited follow-up reports.